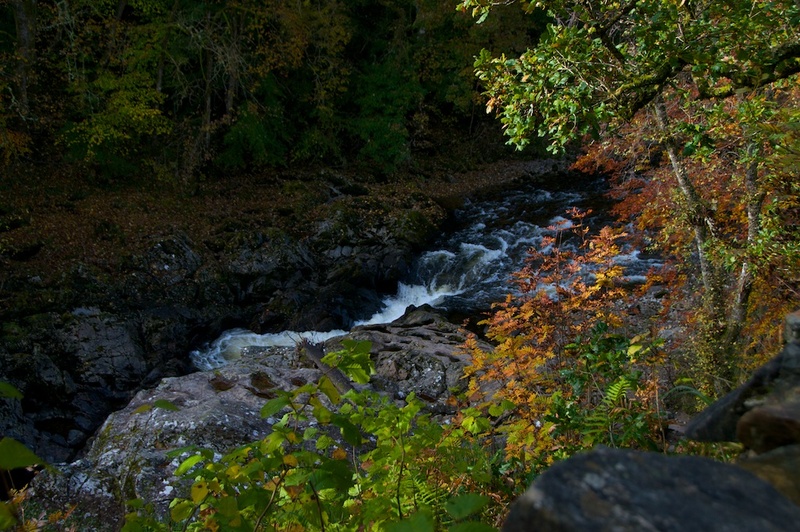 When the season bends towards autumn, the woods that line the banks of the River Garry start to glow with fire. 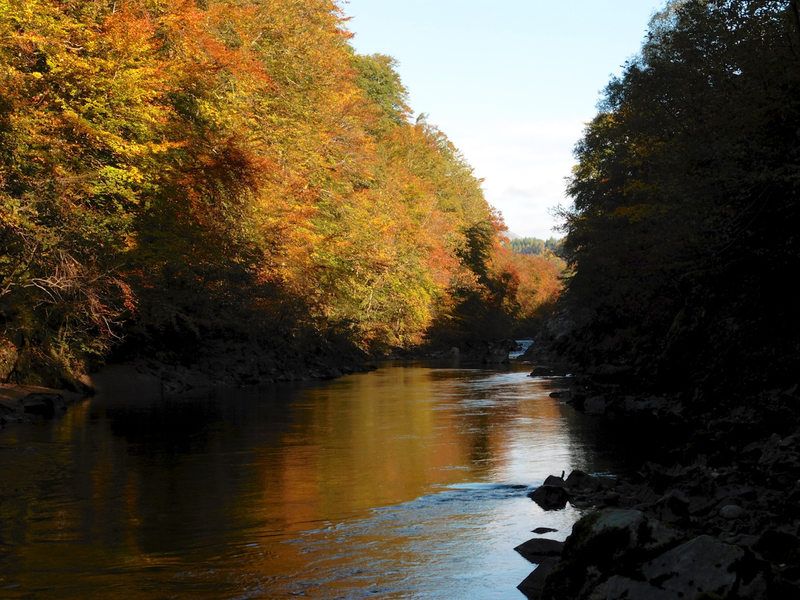 On 17th October we took a walk along the Killiecrankie Gorge, just north of Dunkeld, with leaves tumbling all around us and mist rising slowly off the water to reveal a landscape that was burnished with gold. The air was icy, and frost was melting from the topmost branches as the sun caught them, sending droplets pattering to the woodland floor. 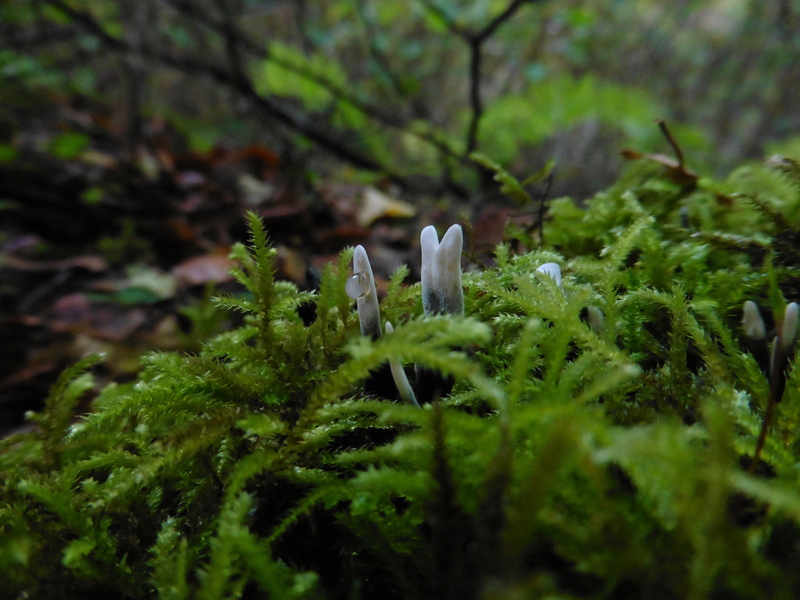 From the steep banks, noisy little rills of water poured in a headlong plunge down to the river, their fall broken by cushions of ferns and mosses. After a few weeks of dry weather the water was low, but bare rocks and snagged clumps of dead foliage showed the astonishing level that it can reach after heavy rain. 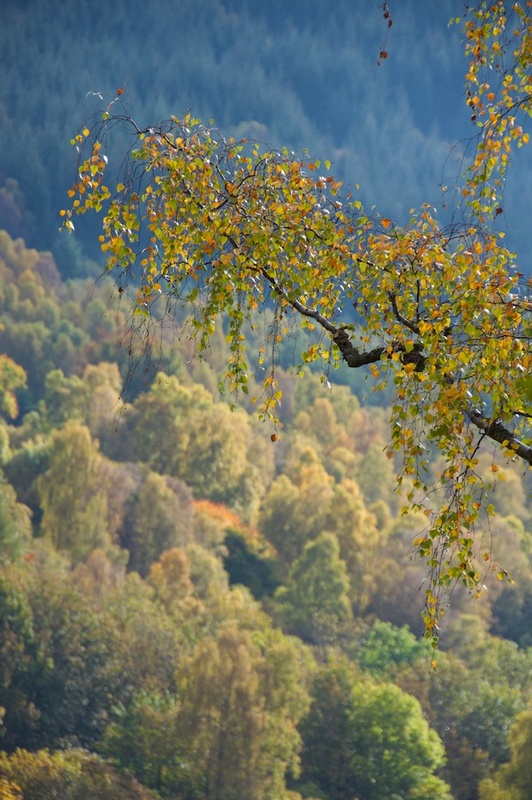 We’ve visited Killiecrankie before, but it was later in the year, when most of the leaves had fallen and the bare branches were wearing a ghostly coating of frost. The lighting was challenging – as I think it always is, in this deep gorge – and the trees were half-wreathed in shadow, standing in silence. 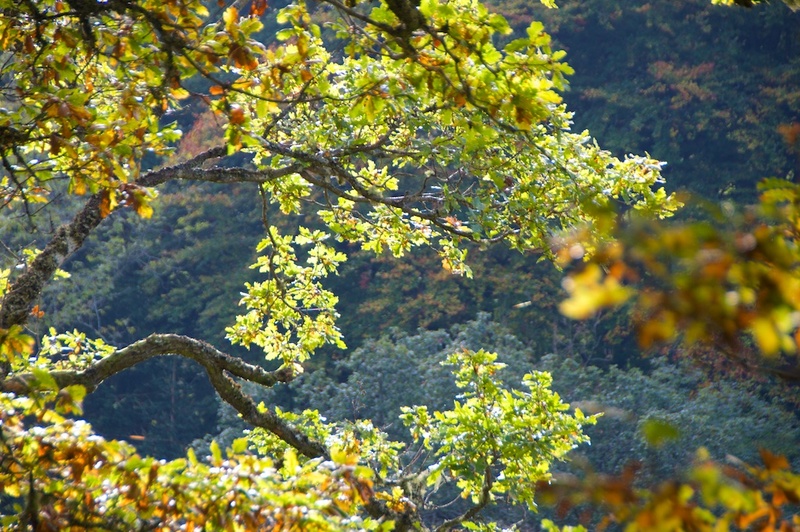 Not so silent in mid-October, with leaves rattling down from the canopy at the rate of two or three per second. 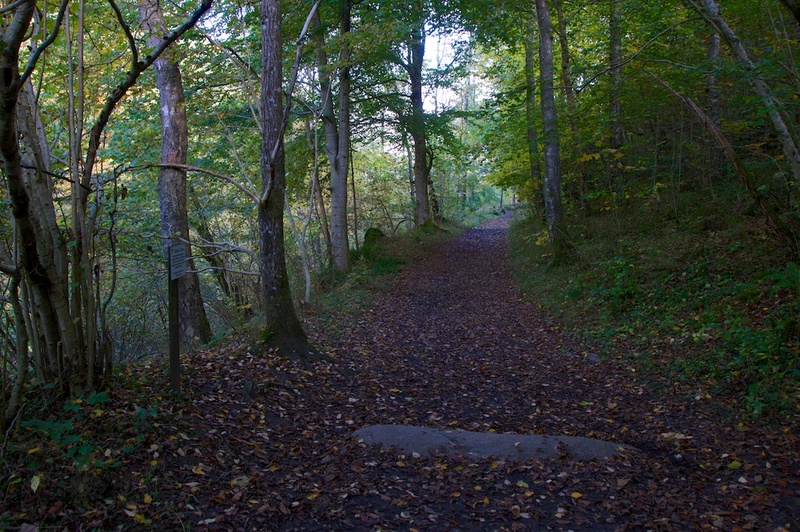 I remembered the slaughter that had taken place here – in 1689 this was the scene of a dreadful battle between Highlanders and Redcoats in the first Jacobite uprising – and to me it seemed as if the falling leaves were like souls re-living their own end. Then, about half-way along the path to the bridge, we came across the Balfour Stone, which marks the spot where a Government soldier was killed: Brigadier Barthold Balfour, an officer under the command of General Hugh MacKay of Scourie. The stone is said to mark Balfour’s grave. We stopped and regarded it for a few moments, and I reflected for about the hundredth time that you can’t walk two steps in this country without treading on history. How many others fell and were buried here, men of both sides? 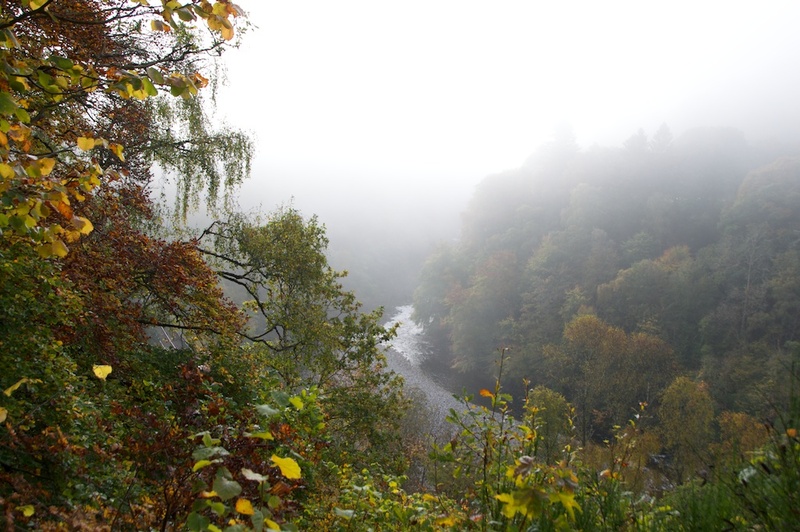 No wonder Killiecrankie has so many tales of haunting. 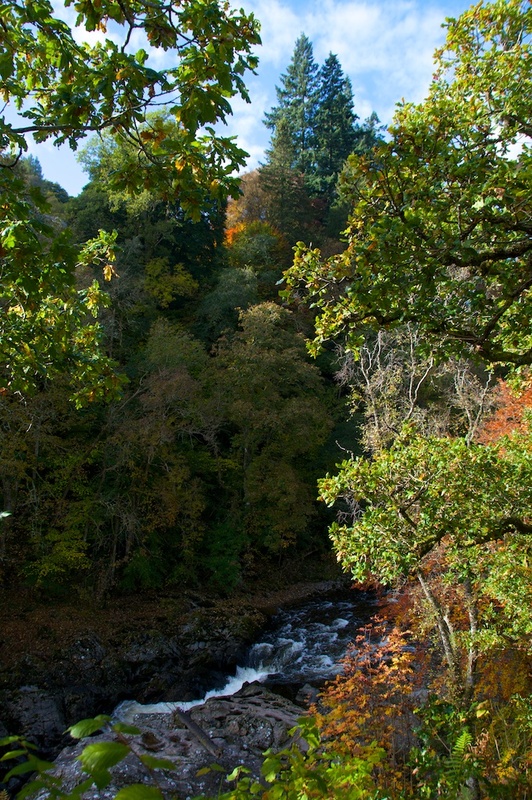 From a pedestrian bridge over the gorge you can admire the spectrum of colour produced by birch, beech, oak, hazel, sycamore and wych elm, punctuated by dark green columns of Douglas fir. It is a dazzling sight, made even more magical because it’s so transitory. 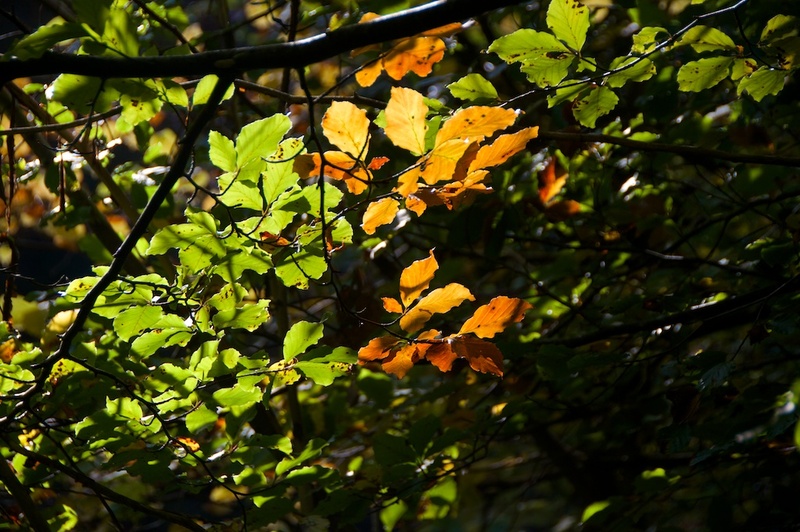 After a lingering spell of warmth, the show of autumn colour is only just getting under way; I’m sure that last year the leaves turned earlier, and it’s surprising how the intensity varies from year to year. There may be a late flush if we have a few more frosts, with no storms to strip the trees before we can enjoy them. 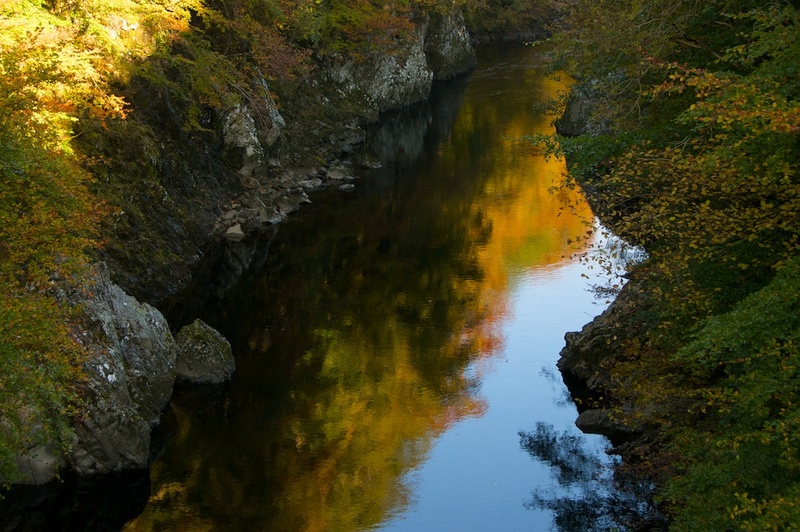 Killiecrankie is managed by the National Trust for Scotland. 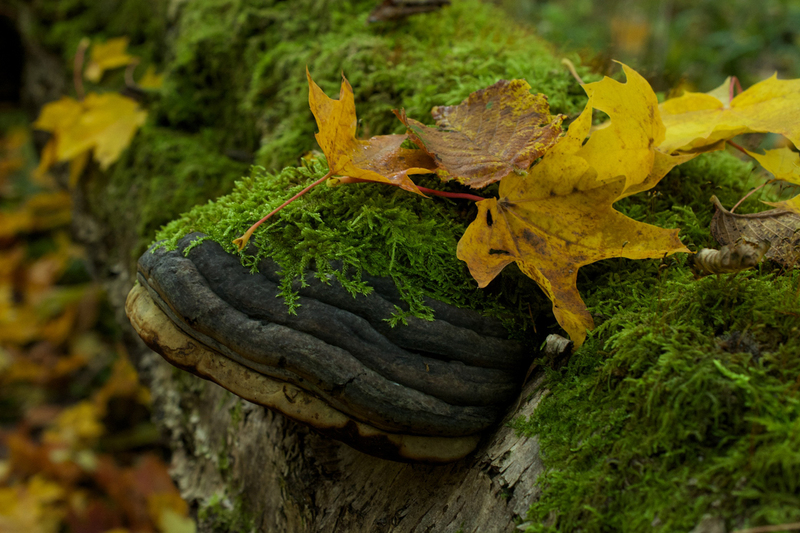 The woodland walks are open daily, all year round, and there is no admission fee. The Visitor Centre has a bookshop and café (seasonal opening – check the NTS website for full details). 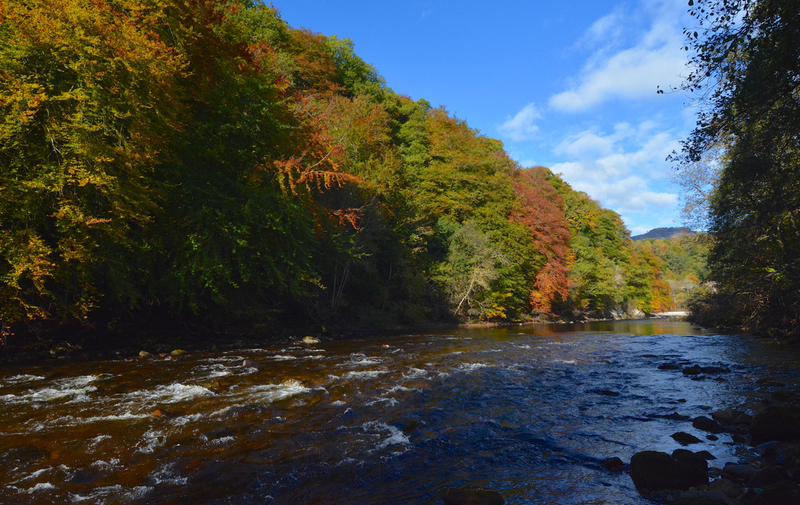 You can read more about the Battle of Killiecrankie in this post on The Hazel Tree. I do so look forward to your blog it is truly an inspiration to get out and enjoy this wonderful country. Thank you so much Keep up the good work very much appreciated. Thank you so much, Elaine, that’s very kind of you, and I’m really glad to inspire people to get out and enjoy the fantastic history and landscape of Scotland. Delighted to hear you visited Dryburgh and I cannot believe your uncle’s name: Zerubbable! Gracious goodness, I would like to think he was a character, with such a name! 🙂 Do you know anything about its origins? Wonderful photography. I have enlarged and gazed at every picture in wonder. Thank you for your skill and photographer’s eye. Thank you, Viv! We have got a stunning collection of photos from that day. It was a pleasure to be out there, in the sunshine. You are most welcome, and I’m glad you enjoyed them. Beautiful photos! 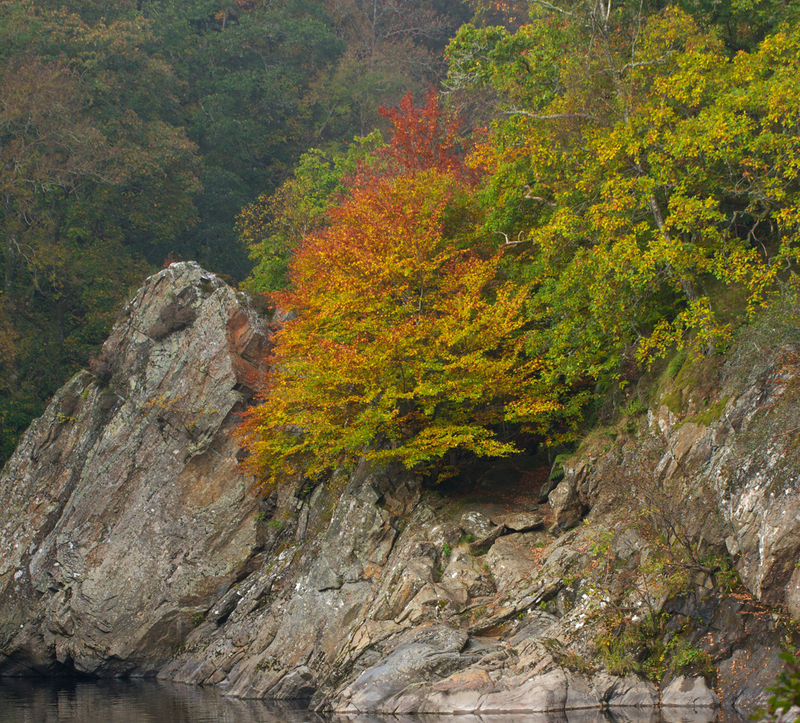 I particularly love the collection of leaves and the marbled water. Thank you! Yes, we love those too! 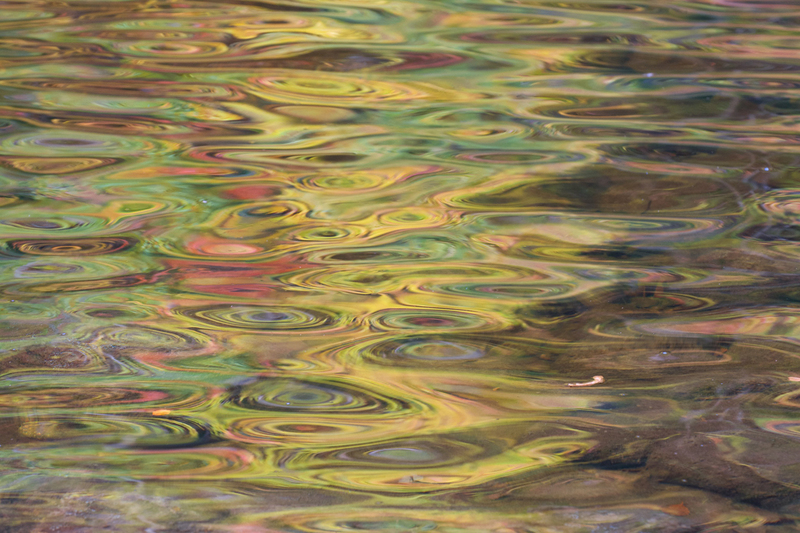 🙂 Such incredible colours in the water – very much like marbling, as you say. In the first photo I like those waves created by stones, it gives me the impression of very fast waters. I notice some fog there… something usual for Scotland, isn’t it. That photo of water reflections! Stunning colours! 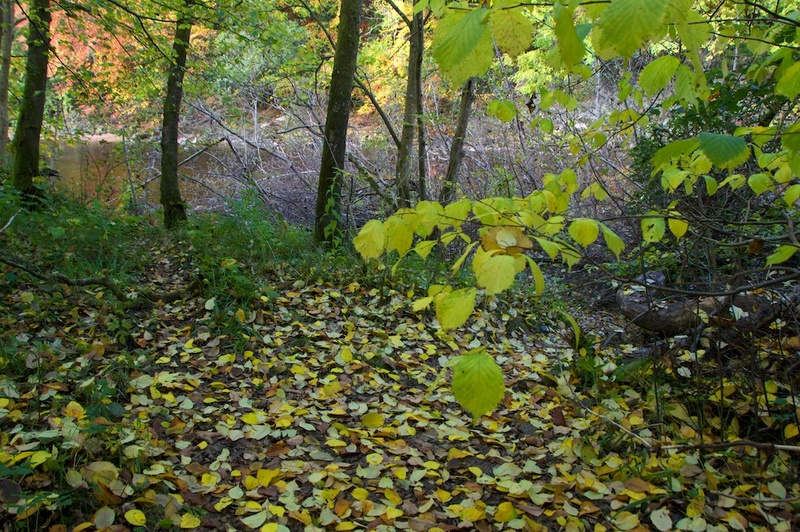 Autumn has great light and beautiful colours. Magnificent photos Jo. And you’ve got to love a post that manages to include the word “burnished”! Keep them coming! Hasn’t it been a beautiful, gentle autumn? You have captured the landscape here breathtakingly well. 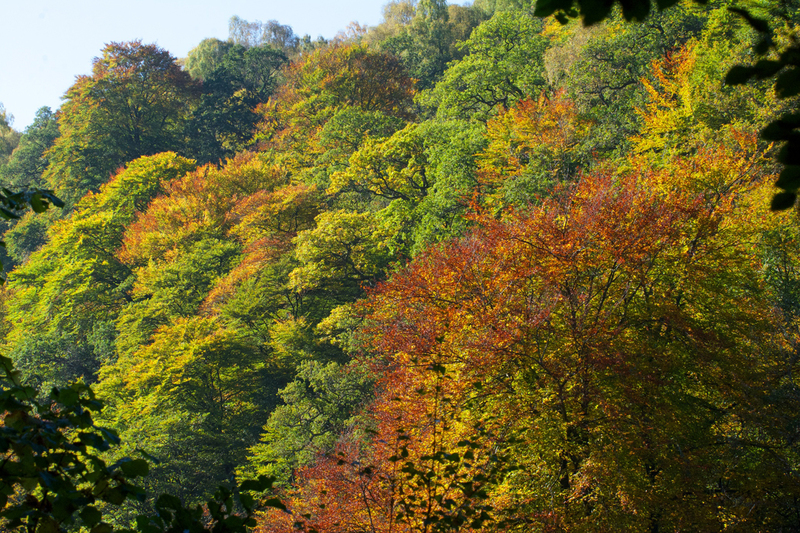 It quite puts me to shame that I haven’t made more effort to share our autumn beauty this year! I think your photo of the water is one of the best I’ve ever seen. Wow. There’s a textile artist I know who would find this so inspiring, I think – as do I! A beautiful collection! My favourite is the marbled water, but the colours are gorgeous in the others too. 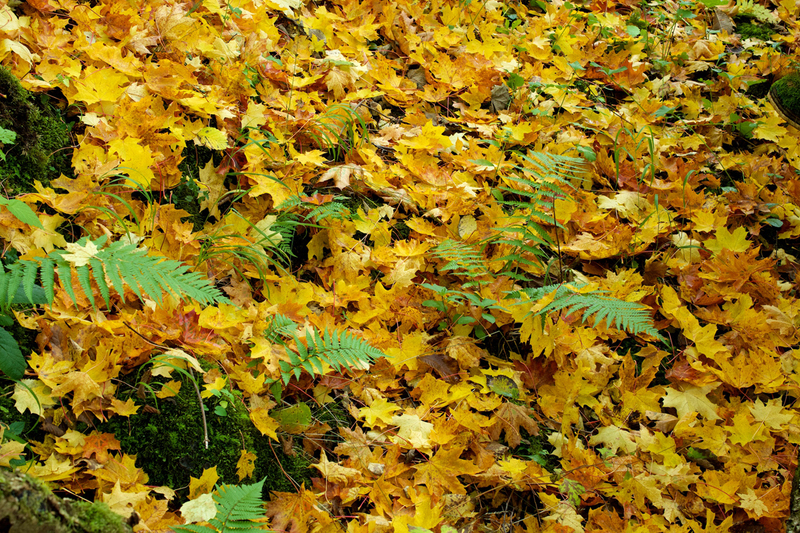 How pretty autumn is in the northern hemisphere. Thank you, Jane! We got some fantastic pics of the water that day. The reflections were amazing. 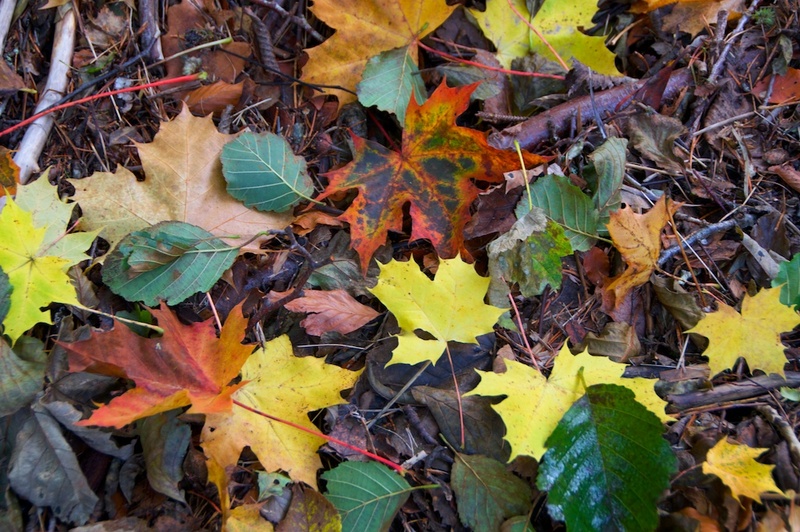 Yes, we’re really lucky with our autumn – and we’re making the most of it after the wet and cool summer. I must confess to guessing a wee bit about the rocks. I know there are lots of schists and gneiss’s in that area, and there is a rock group called the Killiecrankie Schist Formation. 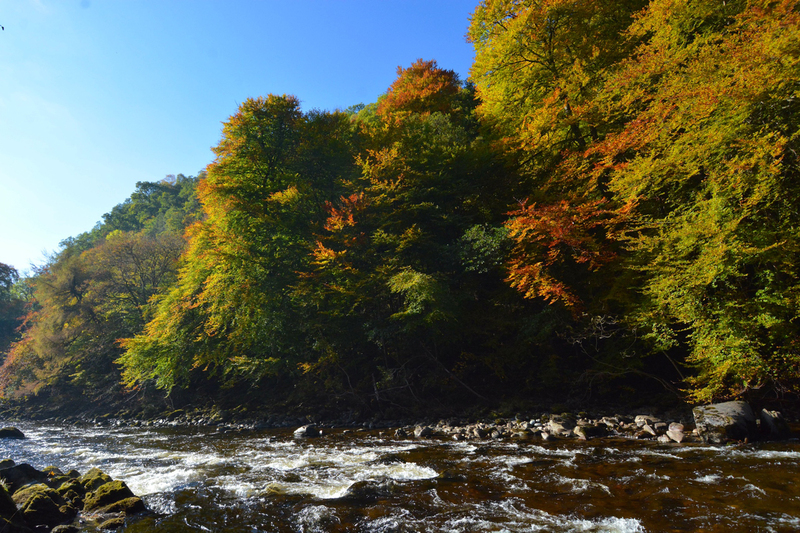 So I put two and two together for your photo ‘killiecrankie-cw-autumn-91.jpg’ 🙂 These rocks are 542 to 1000 million years old, and are metamorphosed remains of deepish marine deposits (mudstones) which were highly deformed during the Grampian/Caledonian Orogeny (mountain building event). BTW, I had a look at some of Colin’s artwork last week, he is an amazing artist. His work is BRILLIANT!!!! A wonderful variety of photos, Jo, and I like your point about stepping on history all over the place in this country. I hadn’t thought of it like that before. I’ve never seen Balfour’s stone so I should go and have a look at that. I’ve been meaning to go and have a look at the colours lining the Garry and you’ve inspired me to crack on with it. I’d love to get a day like the one you had, the colours look so beautiful in the sunshine. Thank you, Lorna! We were very lucky but we just felt we had to go out and enjoy them while the fine weather lasted. I’m hoping the wind we’re getting doesn’t strip too many leaves off. I was very interested to see Balfour’s Stone, which I’d never heard about either. So many memories are attached to this place. Yes, a truly beautiful place, and it’s fantastic in winter as well! We certainly are. I was just looking at your site – very interesting. I have never been to St Kilda. What an amazing history. Yes it is. If you like music you can listen “Sound of St Kilda” (words are in french). I’ll have a listen! Thank you. Loved the music. My French isn’t what it should be (I am ashamed to say!) but the effect is lovely. Thank you ! 🙂 You can say your point of view on my website ! Thanks, Lynne! 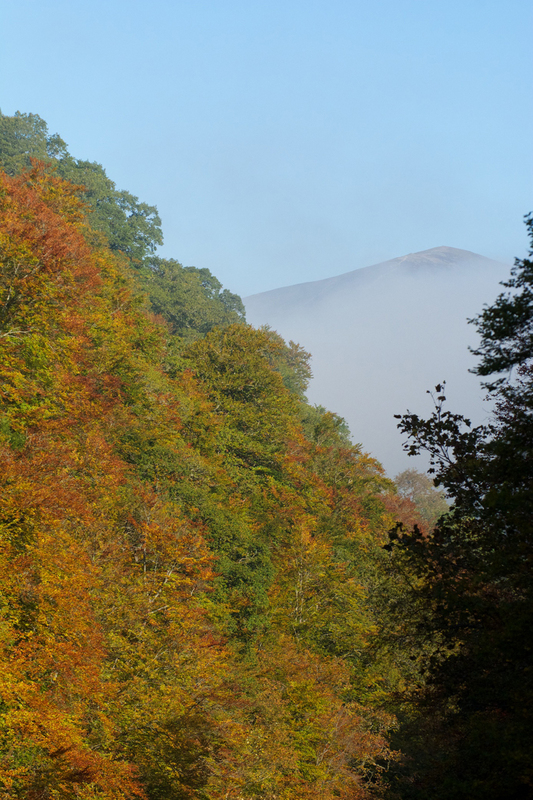 The colours are still beautiful here, although it’s very foggy this morning.